She is a woman who works from the early hours of the morning until sunset and often beyond. She may run a roadside hotel or work in the field, or both, to support her family. Long hours are spent collecting water and firewood, and cooking food. She raises her children. She tends to livestock. 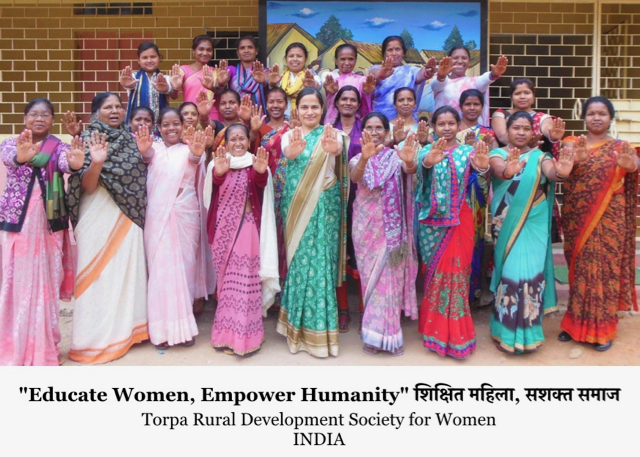 Torpa Rural Development Society for Women (TRDSW) celebrates this woman and many such rural women and girls, without whom rural communities would not function. 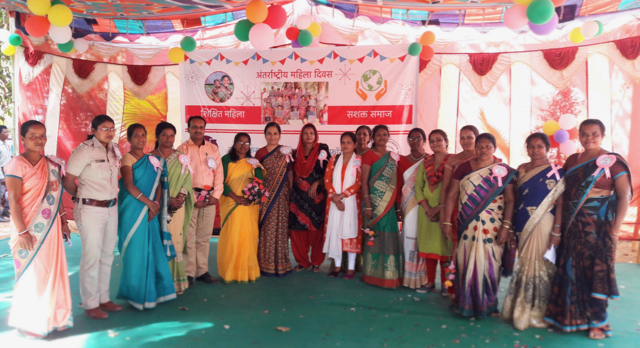 "Educate Women, Empower Humanity" शिक्षित महिला, सशक्त समाज was the theme for International Women’s Day that was held on 13 March 2018 at Mahila Vikas Kendra, Torpa in the Khunti District of Jharkhand. 4000 women from 75 villages of Torpa and Raniya participated in the event. 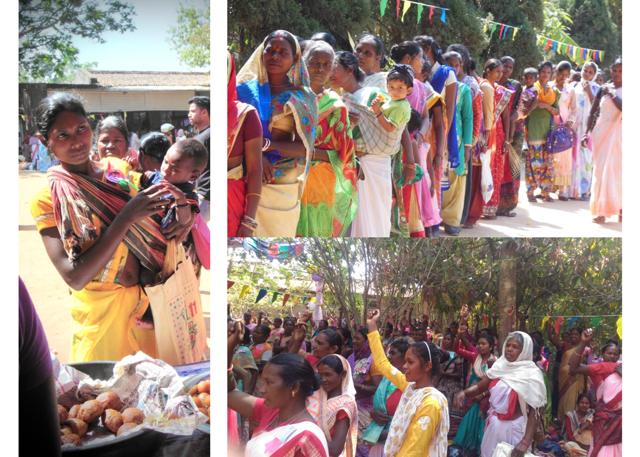 They came with their arts and crafts, bangles and food products. The entire team of TRDSW, with the support of EdelGive Foundation, organised an action-oriented programme in order to help protect the rural women, girls and their families from the infliction of human trafficking, witch hunting, and alcohol addiction. We were delighted and grateful to have a number of prominent guests. Deputy Superintendent of Police of Torpa, Ashutosh Kumar added that the society that condemns women as dayans or witches will never progress, and assured us that the government will support the eradication of such rural practices and also the problem of alcohol addiction. A number of other government officials, community leaders, and prominent women also came to support our women participants. In addition to the motivational speeches, there were performances and street plays. There were also stalls of organic products made by women and local handicrafts made from lac and bamboo. Some of the products brought by the women. TRDSW is committed to the education of all women. Fulfilling this commitment is particularly urgent in rural areas. Rural women and their self help groups are on the move to claim their rights and improve their livelihood and well-being. They are setting up successful businesses and acquiring new skills, pursuing their legal rights and running for office at the panchayat and district levels. They are using innovative agricultural methods, and taking advantage of new technologies for processing the crops. All these have an impact on their immediate family and the entire tribal society. This explains our theme: "Educate women, Empower humanity." participating in the #PressForProgress campaign of International Women's Day 2018. Photos and text are excerpts from a write-up sent by Mariaelena Figueredo rscj. Click here to view a short compilation video of the event.